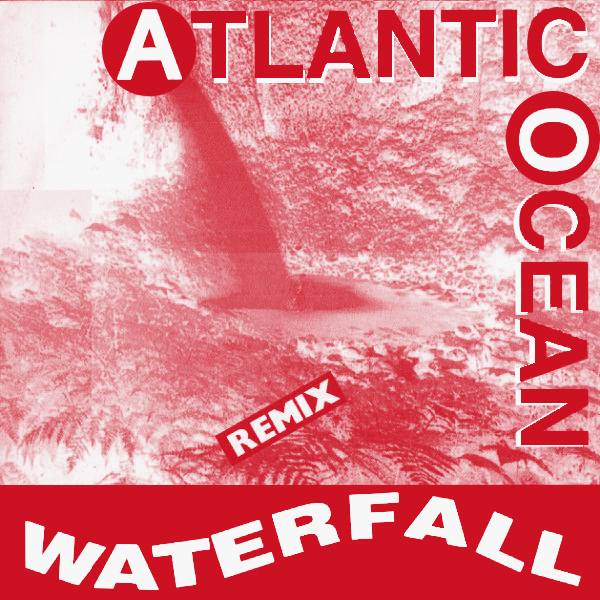 Is that a Waterfall on the original single front cover artwork of this song by Atlantic Ocean? The thing is, it's difficult to tell because of the rather odd shading of red and beige that's been applied to the picture. On the remix we find a babe standing beneath a waterfall and again the waterfall has been obscured so it could just be a discoloration in the rock behind the babe. Then again, when the babe is cute enough, who cares about the waterfall? Splash! 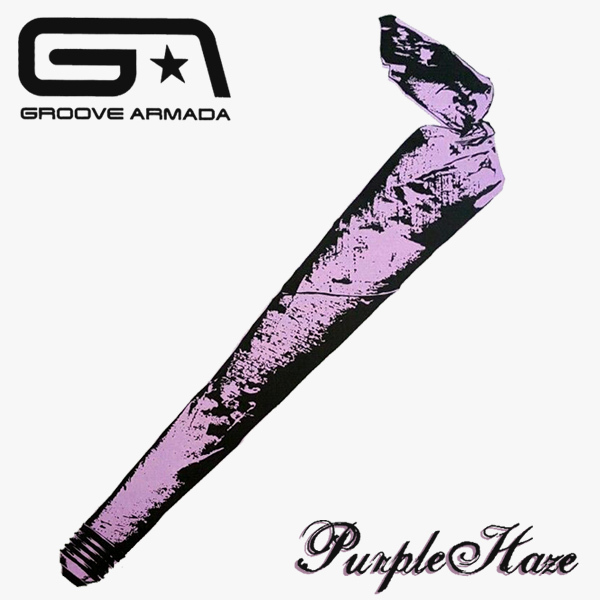 We kind of understand what Groove Armada were trying to get at with the original front cover artwork of their single Purple Haze. Though why exactly the long purple spliff they have illustrated has a lightbulb screw cap on the bottom is less than obvious. On the remix we find a babe dressed in an outfit that might best be described as a purple haze, firstly because it's purple, and secondly because it covers her only in a hazy kind of way. Lacy! An album called Ten by none other than Gabriella Cilmi, no less. Now the question is what it is that Ms Cilmi is trying to suggest can be categorized as a ten on the original front cover artwork. Is it that she is a size ten? Or that she rates herself as ten out of ten? We don't know. On the remix we side-step that whole issue by replacing Ms Cilmi with ten babes. Maybe one of them is a ten out of ten, or maybe not. Who's counting? Tally! Big Girl (You Are Beautiful) is what Mika tells us. 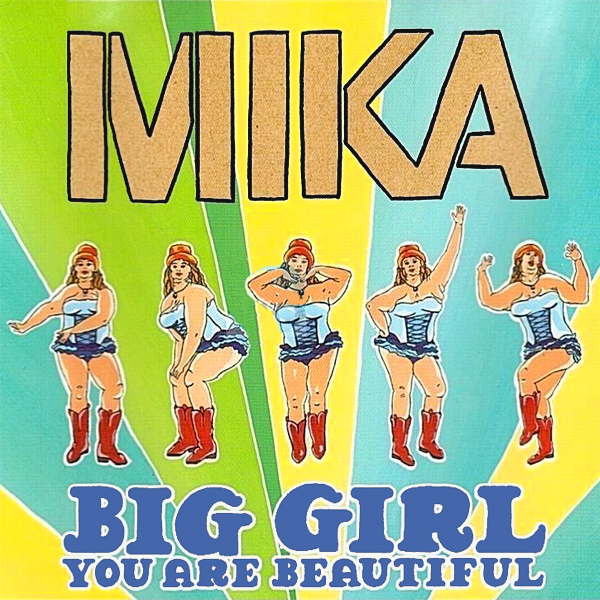 And to give Mika some credit, on the original single cover artwork, there is indeed a big girl who appears to be dancing wearing a corset and boots. Is she beautiful? Difficult to tell. On the remix we find a girl who is clearly big in those areas that are visible from her picture. Is she beautiful? Depends on your definition, but there are those who like that kind of thing. Flop! 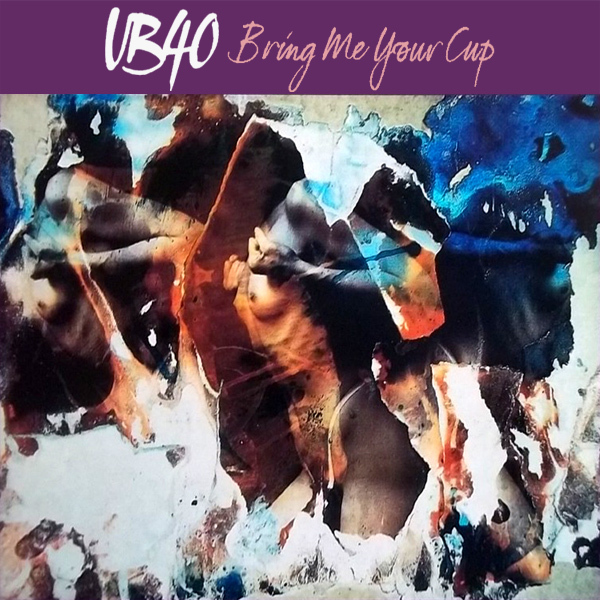 Bring Me Your Cup, is what UB40 tell us to do. The simple fact is that if we use the original single cover artwork to guide us on what we might receive in return for bringing our cup, it seems to be a very mixed bag, consisting of at least two naked women, some blue and white splodges and lots of torn paper. Not exactly enticing. On the remix we find a babe who is enticing us to bring our cup by sitting on top of a plinth with a cup mosaic in an alluring pose. Drink! Splish Splash, I was takin' a bath. 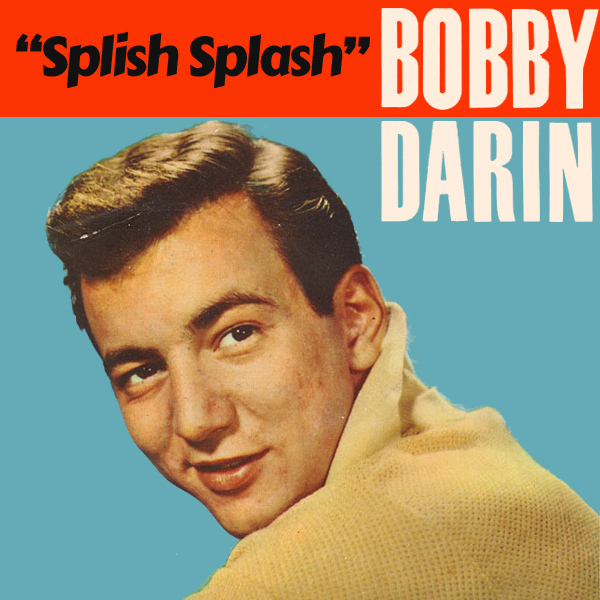 That is how Bobby Darin opens this classic 50s rock 'n' roll song. On the original single cover artwork, on the other hand, it seems very unlikely that Mr Darin is taking the aforementioned bath, as he is wearing a thick jumper. Unless that is how he likes to bathe. On the remix we find a babe who seems to be wearing nothing more than a bath full of water and a pair of high heels. Spray! We agree with Frankmusik when they tell us that we are Better Off As Two. The original single cover artwork shows two babes holding hands but someone has, for no apparent reason other perhaps than artistic effect, blurred them up a bit. On the remix we find two girls who are holding each other rather than holding hands (maybe because they are finding it difficult to balance on the extremely high heels they seem to be wearing). Definitely a case of two is better than one. Duplicate! 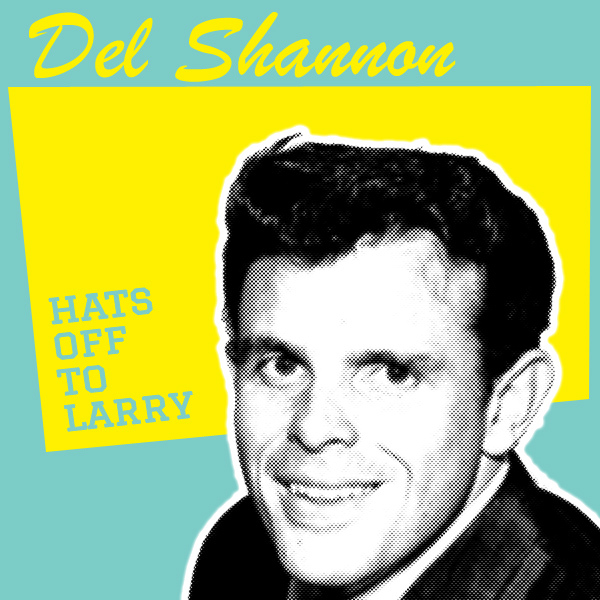 Whilst we're doing hats, here's a cheeky remix of Hats Off To Larry by Del Shannon. On the original single cover artwork we find Mr Shannon in a very tessellated state, smiling at us in a 60s style. On the remix we find a babe who would be in trouble if Mr Shannon found her because she has not followed his instructions and taken her hat off, but is wearing it. He might be inclined to give her the benefit of the doubt though, as it seems that her hat is in fact the only thing she is wearing. Slope! 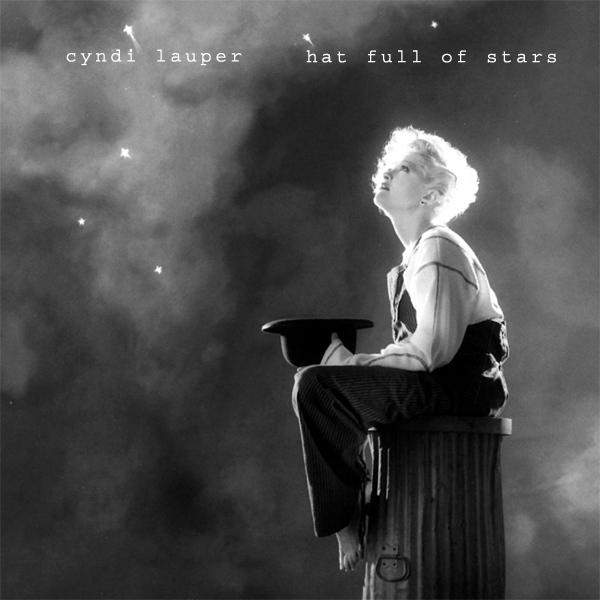 We would probably score the original album cover artwork for Hat Full Of Stars by Cyndi Lauper close to 100% as it features the artist, holding a hat against a starry backdrop and so all the elements are present. The remix would actually score less, as it doesn't feature Ms Lauper but instead we find a mystical looking babe, wearing a mystical hat with a star on it, standing against a starry background. Which would you score highest? Let us know. Aldebran! Another remix for reggae rockers UB40. 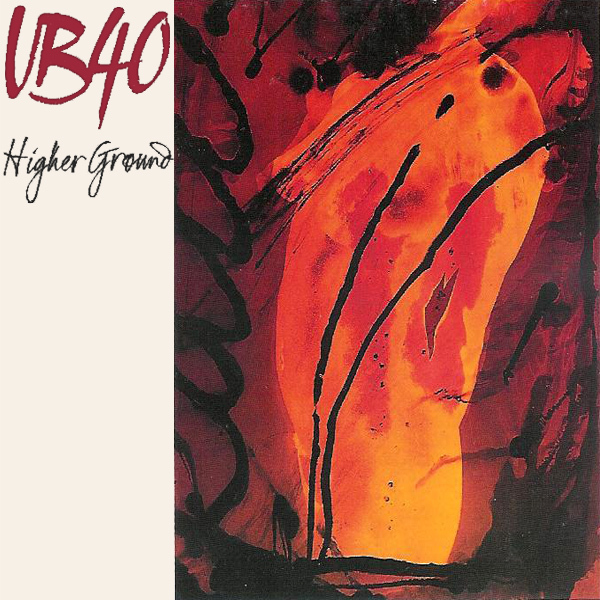 The original single cover artwork for Higher Ground, if you look closely, appears to show a naked girl standing somewhere fiery and who has been splattered with black paint (or maybe it's soot from the fire). On the remix things are vastly simplified as we find a babe, who is once again naked, but is resting in the mountain tops, in what we can only presume is high ground. Majestic!